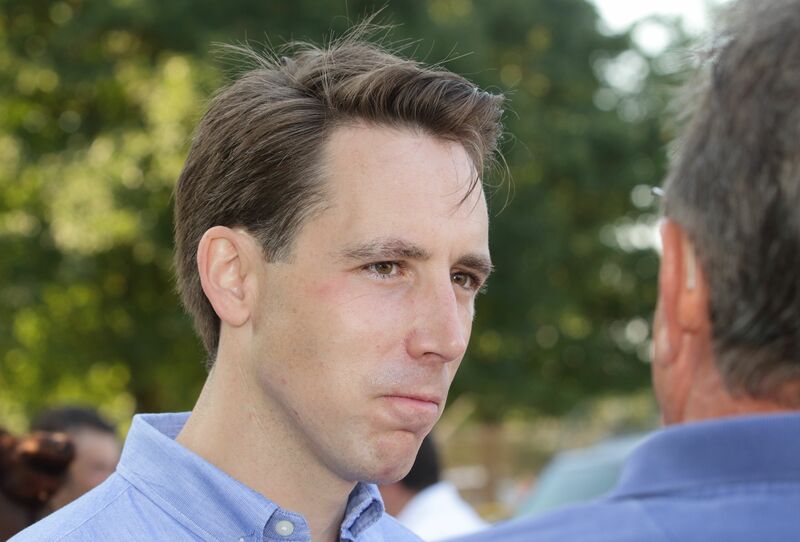 Josh Hawley (r) [2016 file photo]. Wait, what? Yale University Law School? In New Haven, Connecticut? One of those fancy ones? Not located in Missouri? 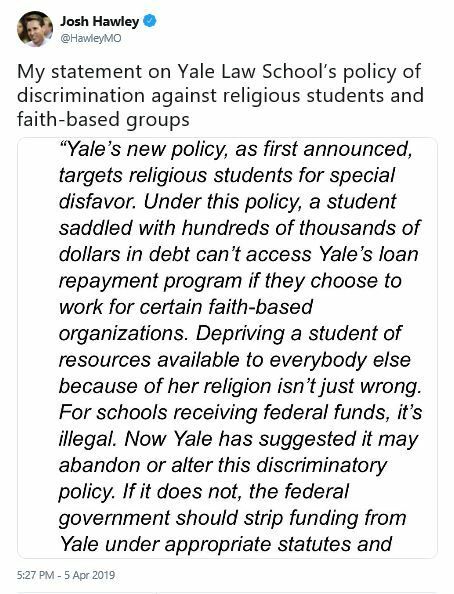 I’m sure #horseface Hawley knows the facts, but probably just didn’t have enough space on The Twitter to fully explain that he thinks it’s perfectly fine to discriminate based on his religious beliefs. Ah, it’s really about the right wingnut republican cult of victimization and just so much pearl clutching.